Parents of a primary school student have copped a S$9,000 fine for lying about their address to enrol their child into a prestigious Singapore school. It is understood that the parents, who resided in Serangoon Gardens, lied about their address during Phase 2C of the 2015 Primary 1 registration exercise during a meeting with the vice-principal of a popular school located in the Bishan area. In 2014, the parents – who resided in a bungalow in Serangoon Gardens – visited Serangoon Gardens Neighbourhood Police Post to change their registered address to one in the Bishan area. The following year, the mother used the false address to register her child at a popular school in the Bishan area. The Education Ministry’s policy states that families residing within one kilometre of a school are given priority with enrolments. The school’s vice-principal accepted the application, and the child was given a place in the school, but in January 2016 the school realised that the mother had lied about her address and subsequently reported this to the police. 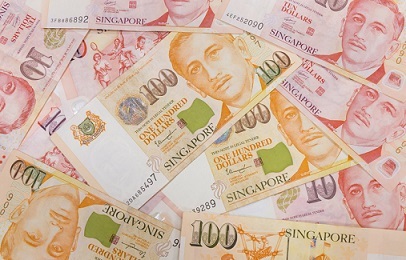 Under Singapore’s National Registration Act, the mother could have been jailed for up to one year and/or fined up to $5,000, while the maximum punishment for her husband's offense is a $5,000 fine and five years’ jail. Under Ministry of Education (MOE) rules, a child who was successfully registered in a school based on false information will be transferred to another school with available vacancies. However, in this particular case, the child is still studying in the school in Bishan and the parents have 14 days to appeal against their sentence. “MOE will decide on the best course of action for the child at a later stage. In the meantime, the school will continue to care for and ensure the well-being of the student,” the Ministry told Channel NewsAsia. The MOE added that while there have been fewer than 10 reported cases in the last 10 years, it considers the use of false addresses during the Primary 1 Registration Exercise as a serious matter and will refer any suspected cases to the police.